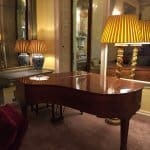 Home » How Much Does a Wedding Pianist Cost? How Much Does a Wedding Pianist Cost? Decided to book a piano player to play for your big day, and looking for an idea of wedding pianist cost and prices? 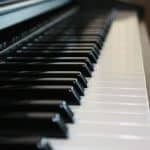 You may think ‘any pianist will do’, or you may be after a piano player who will play in exactly the right style and exactly the right tunes you want them to play. Searching for a piano player for your wedding, you might receive a range of quotations that might vary massively. Of course, all musicians are not the same. Naturally enough, everyone has to work to a budget – music is only one (important) part of the day. So you will inevitably be looking for a pianist who you think offers the best in terms of value for money as well as talent and dedication. Coming top of your list might be a pianist who also gives you the best service in the months and weeks before your wedding – who stays in contact with you and your venue – and who treats your wedding day as carefully as he would his own. A piano player who is cheaper will not be an experienced wedding pianist – aware of when to play and when to shut up! My fee quotations are individually prepared to be as efficient as possible, and are fully inclusive. Insurance – PLI cover of £1m included as standard. Not all musicians offer this, but most venues insist on it! All of my equipment is PAT tested. My instruments are also insured with specialist insurers. Office – the cost of maintaining and running this website, and advertising on successful sites like LastMinuteMusicians. Music – the cost of locating and hiring the music you have chosen for your day. All of these costs are included in the single, fully inclusive price I quote to you. Simon Jordan is a pianist unlike any other, putting 100% into both the preparation for, and his performance at, your wedding. No two weddings are the same – every wedding now can be personalised, from the vows you make at the beginning of the day, onwards. Simon cuts no corners in his preparation for your big day, rehearsing all of the music he is to play, finding and paying for sheet music and even making his own transcriptions and arrangements of music that be unobtainable anywhere else. Simon will be working by your side from your very first enquiry to him, right up until the morning of your wedding. In addition to that, Simon is one of the best pianists in the UK, performing for prime ministers, royalty, on tour around Europe, and on the stage of the Royal Festival Hall as a piano soloist. 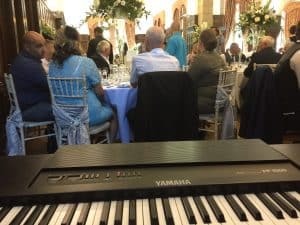 Simon is one of the very best pianists available to play at any wedding, and his stunning feedback and ratings across Google and Facebook are testament to that. When booking Simon, you deal with the pianist direct and the musician takes 100% of the money – you are not paying for any backroom agency, whether run from an office or from somebody’s bedroom! Simon’s reputation is built on his own performance as a pianist, not on the work of others – so you can be sure you are getting the very best piano player available, with no substitutes made, no VAT to pay, and no unnecessary extra money going to agencies! As well as a musician, Simon has a background in customer service, working for the BBC and Channel Four, so you will be getting one of the most responsive and helpful musicians out there too! 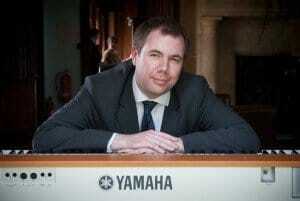 Simon is one of the very best piano players available for your wedding. He can play the piano at your venue or bring his own. However big or small the space, there is room for him to play. This is because an agency has to take a fee. It’s quite simple, really – book through an agency and pay more. Some charge more than others, certainly, but every agency charges a fee. Having said that, there are some top-quality agents out there who put a lot of time and investment into their operation and their website, and are worth every penny. Simon is proud to be represented by three of the UK’s leading agencies, but they always give him a different name to avoid your coming to Simon direct and saving money, and their not getting their payment. This is completely understandable, but if you have found Simon direct, without an agency, than you should be able to reap the benefit and get Simon’s service as a pianist at a cheaper price! Is booking through an agency the promise of a good pianist? Possibly, but you can never be sure that the pianist you book is the pianist you are going to get. That is because some of the smaller agencies out there do not tie the musicians to the dates, and therefore if the musicians get a better offer (I.e. without the agent’s cut), they will invariable take the better deal. And you will be left with Joe Bloggs instead of Ludovico Einaudi. Most of the bigger agencies audition their pianists. I played for all three of the agents who represent me (such as lastminutemusicians). But there are four or five other agents who regularly try to put bookings my way without hearing me play a note. Simon Jordan does not earn more than £82,000 a year, so no VAT is payable! His wedding pianist prices are reasonable and individually quoted. Here is, perhaps, another reason to avoid booking through an agency, as you will have to stump up the extra 20% yourself. The price Simon quotes for his services as a pianist is fully inclusive of all extras like annual portable electrical tests on his pianos, £1m public liability insurance coverage, and the risk assessments that can be provided if necessary, This means that Simon’s wedding pianist prices represent excellent value of money for the service you receive. Simon has a list of regular venues he is recommended by and performs at all the time, but the nature of his talent means that he is in demand across the country as a musician, regularly playing in venues as far apart as Cambridge and Cardiff. The nature of the booking, and the location of the venue, will decide how he gets to you, but Simon will always allow an extra hour to get to any venue, leaving nothing to chance. If the venue has a piano already, he may well travel up by train or other public transport, leaving his energies at 100% to play for you on the day. If he is travelling with one of his three stage pianos, he will drive up, leaving extra time if the journey includes any notorious hotspot like the M25, In all he does, Simon remembers that it is your wedding and your day, and he wants to make sure it is memorable for all the right reasons. It’s your wedding day and no one else’s – so the planning process for the music for your wedding starts from the very moment you book Simon. You have already begun the process of planning your wedding music by reading this page, so have made a great start. You might well be surfing the internet, looking for musicians, and most importantly, looking for recommendations for good musicians, whether through testimonials or through Google or Facebook. Remember that those musicians whose results appear right at the top of Google have paid to be there, and this is no indication that they are better than any other. The true indication of a proficient wedding pianist is their experience of playing at weddings, their standard of playing, and their attitude to your wedding. Simon plays for upwards of 50 weddings a year, as a pianist and a violinist, achieved Grade 8 with distinction at age 15 and ABRSM advanced certificate at age 17, has been trained as an ABRSM examiner, and fully appreciates that he is one of many suppliers for your wedding day and is not the centre of attention – that is you! Having spent a lot of time researching musicians for your wedding, and realising the benefit that live music can bring to your wedding day, you have undoubtedly know the importance of finding the right person to play for you. That involves reading testimonials and reviews, listening to performances, watching musicians play for you on Skype or FaceTime, and getting the opinions of others. And at the top of your list is the music you want to hear – it’s pointless to hire a musician incapable of playing your preferred songs! Simon is a working musician and also a piano and violin teacher, with students achieving music scholarships to some of the leading UK universities and music schools, but he is always around to talk, check availability, chat through your ideas, or get advice on the possibilities for music at the venue you have chosen. He is extremely friendly and organised (for many years he was a producer for BBC radio and television, as well as a journalist) and, unlike an agent, is available to talk to you or to play for you at any time, weekdays and weekends. Music planning for every wedding. Play for the couple, either on Skype or FaceTime, and be available to play and talk for them at any time between booking and wedding day. Once the booking is made, work on the contract for the wedding and get this signed by the person making the booking. Take deposit payment from the client (50%), and offer initial advice about the music opportunities for their day and how and when music can be played. Be available for music requests, either live or recorded, to be shared with the client, and make suggestions as appropriate. Talk to the venue and share PLI and PAT certification as requested. Double and triple check logistics for the day such as arrival times, locations for playing and the equipment required. Parking spaces, unloading, and travel for the day to be booked. One month before the day, obtain the balance payment and ask for the couple’s final music choices, though impromptu requests can be taken during the wedding day. If you have booked another musician, or have gone through an agency, there is no guarantee that any of these things will be done, or done by one person – meaning that arrangements and important details might not have been shared, and your wedding day might not go as smoothly as if you book Simon Jordan! Booking the right pianist or other musician for your wedding day gives you the guarantee of the performer, but what about the instrument they are going to play on? The quality of the piano for your pianist influences how they sound, the quality of their playing and how they look as well. If they are playing a ramshackle piano or an inexpensive low-quality keyboard (with fewer than 88 keys, or without a pedal, or non-touch sensitive), then however good the pianist, the performance will be memorable for all the wrong reasons. 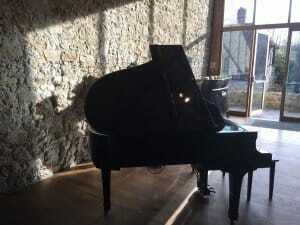 There may well be a piano already at your venue – though that is not an indication that it is good enough to play. When was it last tuned and maintained? Is it locked away when not in use, or can any guest bash away on it? The ideal instrument for a wedding pianist is a good quality, well maintained, in-tune grand piano which can be moved around for ceremony, drinks reception or wedding breakfast. 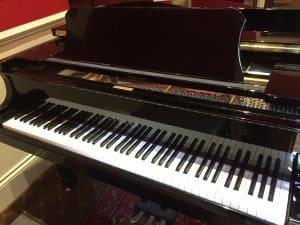 It is difficult to find a venue with a piano that meets all of these guidelines, though the Bijou venues and Brocket Hall come close. 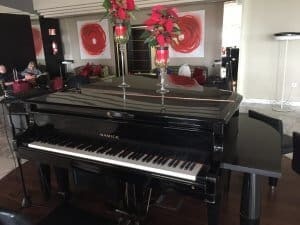 If the piano at your venue is not up to scratch, or there is not one there at all, then there are a variety of different options for you, the cheapest of which is to rely on Simon to bring one of his own instruments. Hiring a grand piano? It may be cheaper to hire an electric one. Grand pianos are an absolute joy to play. However, they are expensive to purchase, very heavy and difficult to move – and they go out of tune very easily. If you hire a grand piano for your wedding, all of this can be reflected in an increased hire fee, though Simon can recommend some inexpensive ways of hiring a grand. A better option might be to hire a digital grand piano for your wedding day. These instruments, being digital, are always in tune, so no need for that piano tuning charge. They also are much lighter and easier to move, and much more durable, so will enable you to save even more money. Most digital pianos have a volume control, though a decent pianist like Simon Jordan will adjust their playing automatically to suit the room and the conversation. Some pianos also allow other factors of the sound to be tweaked (brightness, bass, etc). Some pianists out there offer a grand piano that is, in fact, a keyboard in a plywood box. These are called ‘piano shells’. The pianist assembles the keyboard and then builds the box around it. These can be easy to move around, but after a few uses become battered and the sound is muffled. The pianist normally uses separate amplification which means there is no advantage at all to paying this extra cost. Even people at the back of the room will realise that the performance they are witnessing is, to a large extent, faked. Simon Jordan is a Yamaha artist and all of his equipment is manufactured and maintained by Yamaha. His equipment is regularly PAT tested, and comes with £1m annual PLI cover, which the venue will require. Simon carries replacement parts or backup protocols for all of the consumables he carries – batteries, speakers, lights, microphones and cables. As well as being a busy performer (and teacher), Simon has to work hard on promotion and finding new clients, as most of his customers will only get married once! Though Simon has, many times, played for siblings of previous customers, he has a constant promotion schedule that requires heavy investment of time and money. The website you are reading has to be maintained, and Simon also regularly plays at wedding fairs, appears in magazines, and works with venues on new opportunities, He does not pay any hidden commission for any recommendation. 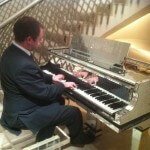 You can see Simon play at wedding fairs organised by Berkshire Wedding Fairs and Buckinghamshire Registrars.